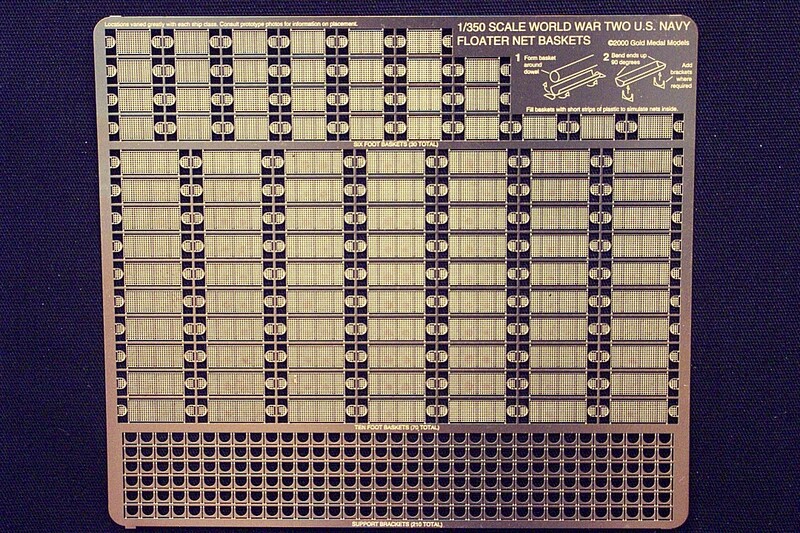 A set of 100 floater net baskets as used on World War Two U.S. Navy warships. Includes 70 large baskets and 30 small. Relief- etched in 3-D for extra detail; includes optional support brackets (two for each basket plus spares.) Brass. Can be used with all 1/350 scale WW2 USN model ship kits.